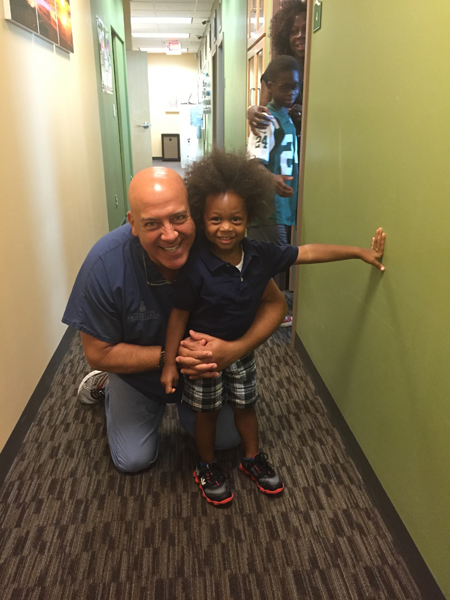 Pediatric chiropractic care is an important part of protecting a child's health and wellness. Chiropractic care can ensure your child grows to the best of their physical, mental, and cognitive ability. Whether for the specific care of an affliction or general wellness care, chiropractic will help your child hit their milestones without the use of prescription or over-the-counter drugs. Pediatric chiropractic care refers to the diagnosis & treatment of infants and young children by a board certified chiropractor. Infant chiropractic treatments specifically address concerns associated with the trauma of birth and the development of a child. Many new parents are not aware that a vaginal delivery requires a pulling force of more than 50 Lbs and a C-section delivery requires more than 100 Lbs of pulling force on the newborn’s neck, head, jaw and shoulders by the delivering doctor or midwife. The force required to birth a child can lead to a multitude of conditions within the newborn. Examples of resulting conditions include baby colic, inability to latch/ or breastfeed, irritability, Torticolis, inability to lie on their tummy, delayed development and many more. 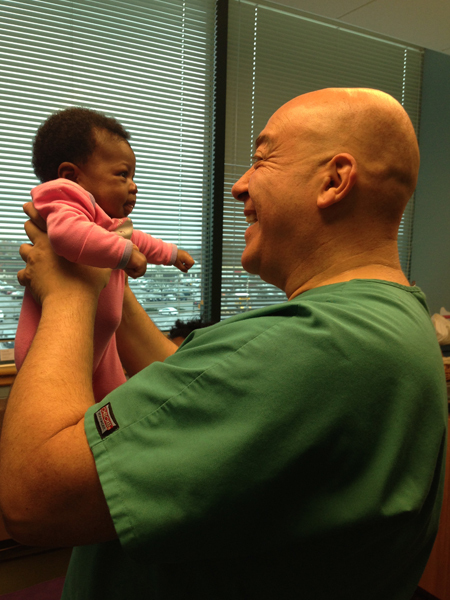 Dr. Laub, an International Chiropractic Pediatric Association (ICPA) Diplomat Candidate will evaluate the needs of a child and ensure that each child has appropriate care based on their situation and growth. During the chiropractic visit, the child is evaluated by the chiropractor who performs a full physical, a specialized spinal, neurological, and orthopedic exam, as well as evaluates the child’s growth and development, while also looking at potential injuries or health concerns. The treatment plans help address various conditions such as ADD, ADHD, autism, Torticolis, Colic, breastfeeding issues, and many other possible injuries or health conditions. Chiropractic care also ensures that a child maintains a high level of mobility to allow the child to explore their environment thus allowing the child to develop and grow healthy in a physical, mental and, cognitive way. The tools we use to help a child grow and develop in a healthy way depend on the needs of the specific child. We evaluate each child's health and situation before providing a treatment plan. We ask that parents fill out and deliver our very comprehensive child health questionnaire far in advance of the child first visit; This allows us to go over the child’s health history and to have a preliminary , pre- physical phone interview with the parent/ parents to assure that all health concerns are discussed before the child first visit. We use a gentle treatment based on the age of the child and the needs of the individual, so parents can feel confident that an infant or child will not face unnecessary stress of pain. A key factor that makes our treatment plan useful for children is the careful examination and diagnosis of potential health concerns. We watch a child's growth and make sure that any problems are handled as soon as possible to avoid long-term health concerns or address underlying complications before it leads to more severe injuries or pain. Children need appropriate care based on their age and their development. Based on an individualized treatment plan, West Hartford Chiropractic offers options to address injuries from falls, accidents, sports injuries, various health conditions, as well as preventative strategies. We also educate parents about healthy ways to help a child grow and develop without facing unnecessary complications or problems through Chiropractic Care. We help parents make appropriate decisions about exercise habits, nutrition, and overall well-being and all in-house, here, at West Hartford Chiropractic. Our treatment plans focus on the needs of the child, so we provide an individual solution for each infant or child in our clinic. 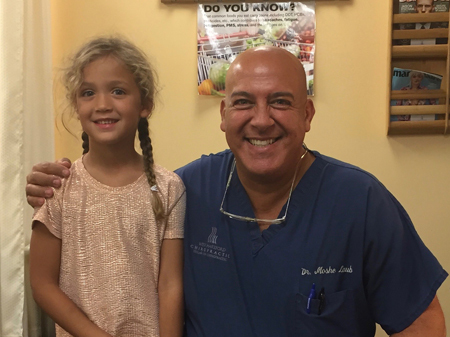 At West Hartford Chiropractic, as a chiropractor for kids, we make sure that children have appropriate care for their goals and we discuss concerns with parents before working on any treatment plan. Infant chiropractic care or pediatric treatments allow children to grow and develop without facing unnecessary challenges with their mobility or health. By working with our chiropractic board certified professionals, parents can feel confident that a child will grow and develop in a healthy way and reach the child’s optimal physical, mental and cognitive capacities by allowing the child’s nervous system to function optimally, without interference. To learn more about our pediatric services, contact us for an appointment today at (860) 232-5556.